Tying a bow tie is essentially the same as tying a shoelace. Most men should be able to tie their own shoelaces by now. The steps are basically the same for both. 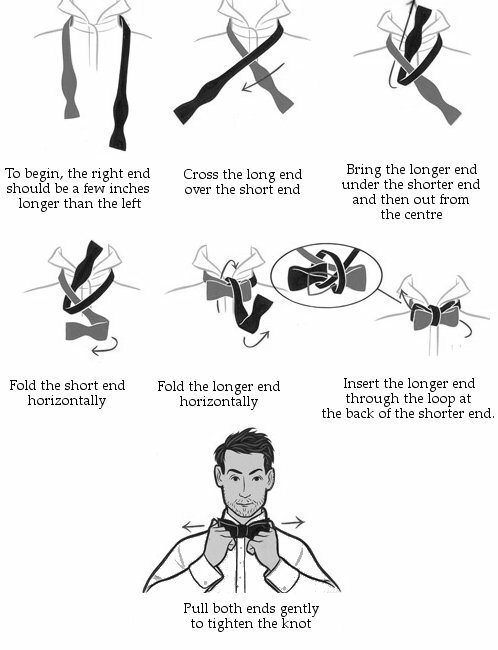 Give yourself time to practice tying your bow tie well before you will be wearing it. And practice where there are no distractions. This appears very complicated at first but will soon become as easy as tying your shoelaces. Remember that you are not tying a necktie but a bow tie - so remember the 'bow' part and think shoes.